Foreclosure sales were up 3% on a year over year basis and were 18% of all May sales. Non-foreclosure sales were down 2.3% from last May. The median sold price was up 5.3% from last May. 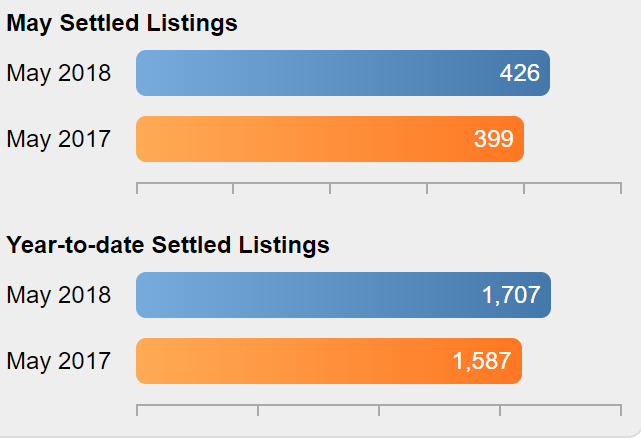 New Bank Owned listings in May were at 115, down 26% from last May. 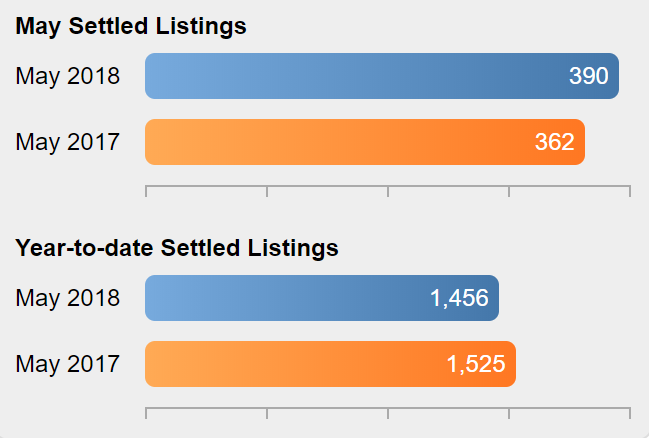 Inventory increased by 19 listings during May, but is still 15.2% below last year's inventory. 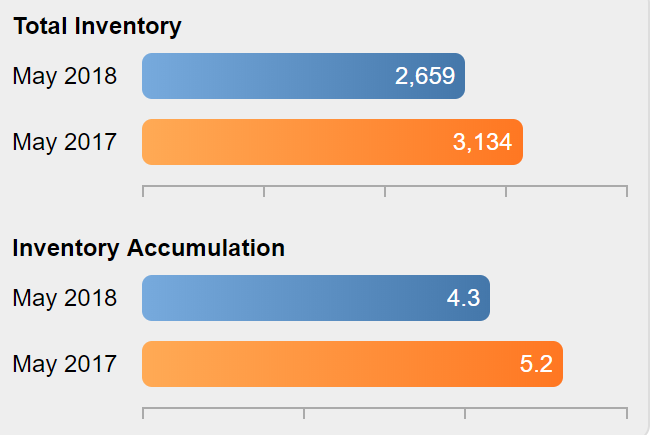 The Months Supply of Inventory increased to 4.3 months, and is down from 5.2 months a year ago. 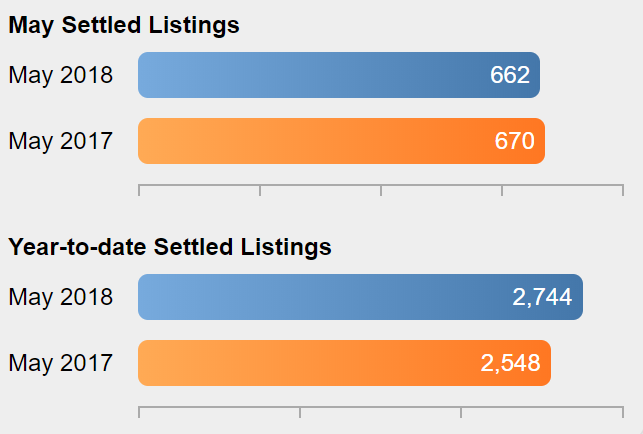 The number of new listings were slightly higher than last May, with new Bank Owned listings down 26% from last May. In May, Camden County home sales were up 1.7% compared to May 2017 and the median sold price was up 1.4%. The 159 foreclosure sales were down 13% from May 2017 and constituted 23% of all sales. The number of homes available for sale in Camden County increased by 0.8% in May and is now 12.8% lower than a year ago. 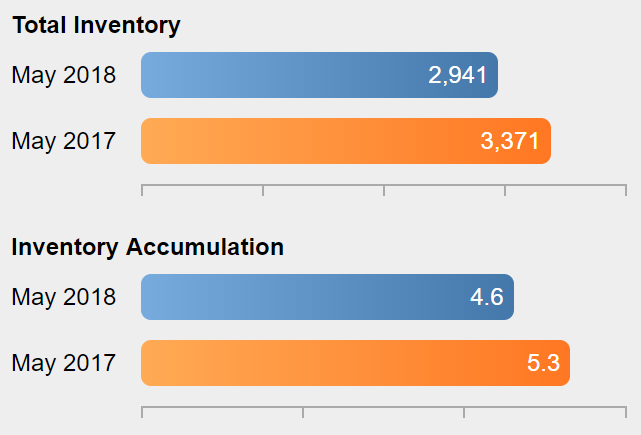 The Months Supply of Inventory has dropped from 5.3 months a year ago to 4.6 months due to the increase in sales over the past year and lower inventory. Sales were up 6.8% compared to May 2017 and are up 7.6% year-to-date. 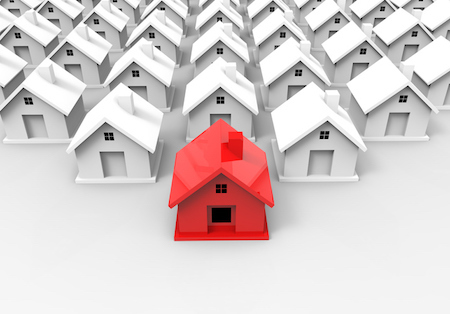 Prices were flat compared to last May but are up 0.9% year-to-date. Foreclosure sales were 21% of May's sales, up from 20% in May 2017. 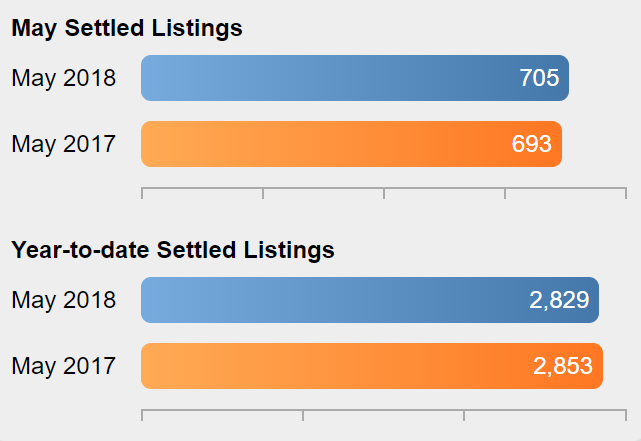 The number of homes for sale during May decreased by 1.1% and is 7.6% below the 2017 level compared to a 12% shortfall throughout the region. The Months Supply of Inventory is at 5.2 months, down from 5.8 months a year ago. 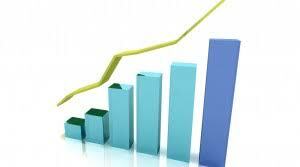 Sales were up 7.7% compared to last May while the median sold price was down 2.4% from last May. There were 61 foreclosure sales in Mercer this month, up from 49 in May 2017. Foreclosure sales were 16% of all sales in May. 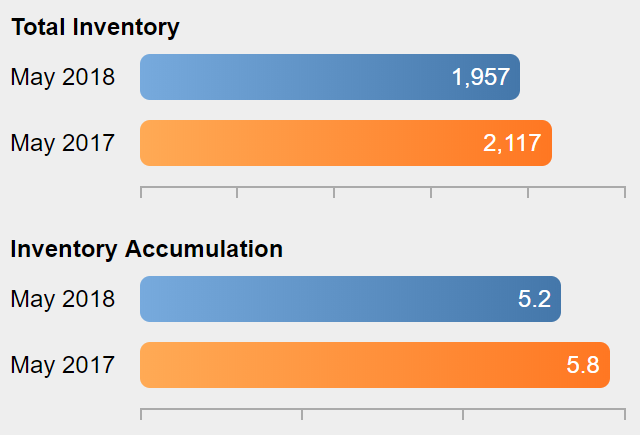 Inventory increased by 12.0% this month, and is just 1.8% lower than a year ago. 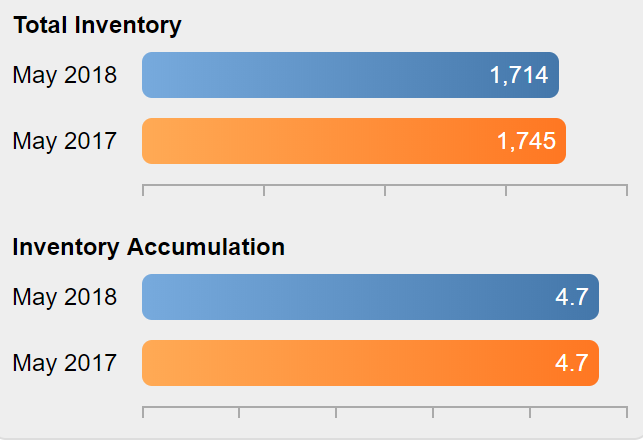 The Months Supply of Inventory increased to 4.7 months compared to 4.7 months in May 2017. Struggling to make it through the summer without AC? 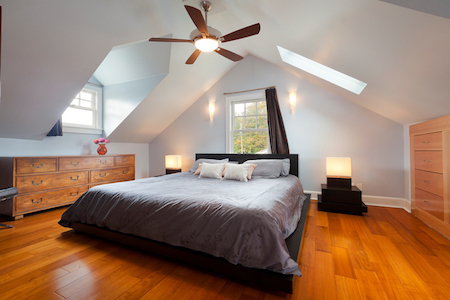 The following hacks can help cool you and your space without wrecking your utility bills. Close your drapes. Drapes may feel counterintuitive to cooling down your home, but pulling them closed in the sunniest hours can block strong rays from your window and help stop your home from heating up. Better yet, snag light-colored blackout curtains and use those. Limit heat-producing appliances. Ovens are an obvious no-no in the summer months, but your hair dryer, flat iron and clothing iron can all make rooms—or at least you—feel warmer. 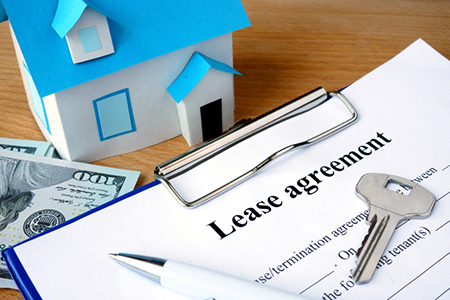 Expert Insights: How Does a Lease Option Work? A landlord agrees to give a renter an exclusive option to purchase the property. The option price is usually determined at the outset, but not always, and the agreement states when the purchase should take place—whether, say, six months, or a year or two down the road. 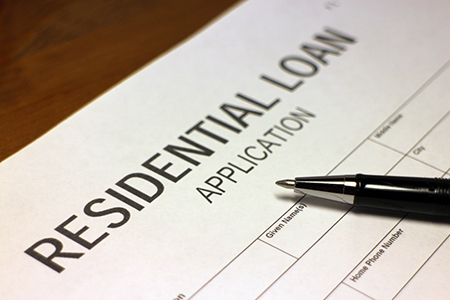 Expert Insights: How Do I Qualify for a Home Loan? Lenders generally stipulate that you spend no more than 28% of your gross monthly income on a mortgage payment or 36% on total debts. The idea of putting a minimum of 20 percent down on a home is a myth that can keep some people from trying to buy a home. 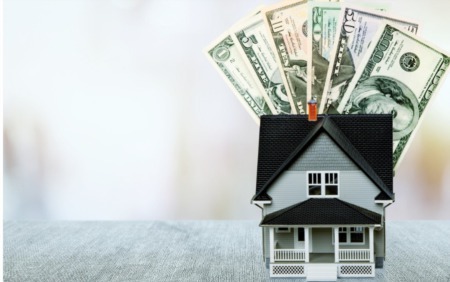 While it can be a great way to lower your mortgage payment and convince sellers that you’re serious about buying, coming up with 20 percent of a home’s purchase price can be difficult. A lower down payment is acceptable. Lenders know that the 20 percent rule is a myth, and will often accept much less if you have good credit and a steady job. There are a multitude of things house hunters need to consider before choosing a home, such as price, location, schools, distance to work—the list goes on and on. 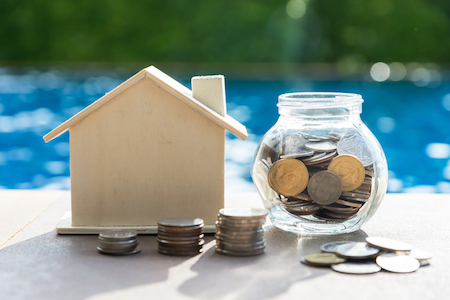 Most homebuyers may not think about the costs and rules associated with buying a house that’s part of a homeowners’ association; however, it is an issue they may run across. For those unfamiliar, a homeowner’s association (HOA) is a legal entity that manages a shared housing complex—that doesn’t just mean a condo or a series of town homes. In some cases, it includes a suburban housing development with shared space or a specific neighborhood. When’s the last time you paid attention to your lights, switches and fixtures? 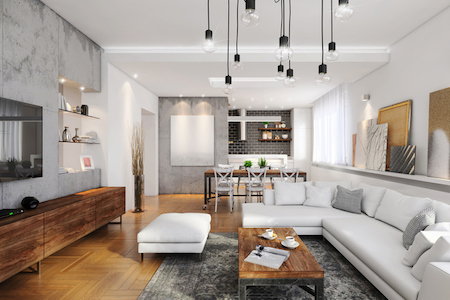 They may seem like little things, but when selling a home, everything counts, so putting some thought into your home’s lighting can go a long way toward sprucing up your home without emptying your wallet. Install new bulbs. This is an affordable way to set the right mood in rooms throughout your home. New bulbs also mean they won’t burn out while potential buyers look over your home.